If your family is looking for elegance and a little pampering in Cape May, consider Congress Hall. The stately resort, located directly across from private Congress Beach is a great choice for those looking to spend some quality beach time — they offer free umbrellas, towels and beach chairs and have private cabanas available for a fee. The historic hotel began operating as a boarding house in 1816 for summer visitors. Kids will love the terrific pool, and mom and dad will appreciate the excellent service. 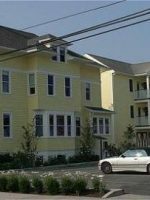 It also offers a children’s program for kids, ages 4 to 12, in July and August — a rarity in Cape May. 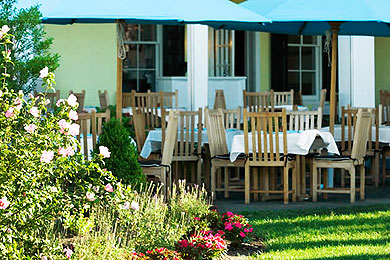 The resort’s acclaimed Blue Pig restaurant serves breakfast, lunch and dinner, and room service is available. Families will prefer the two-bed room options, when selecting from the 108 room choices. Ocean view, town view and annex view rooms are all available with king, queen, or two double beds, along with chairs and small desks. All rooms feature DVD players, and offer free Wi-Fi. 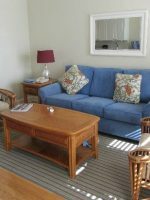 I reserved a suite way months ago for this past week, Thursday, 4/11 thru Tuesday, 4/16. We ended up leaving on Sunday, 4/14. The suite was full of bugs and we were told there wasn't another suite available. They did offer to spray the room and let us back in after "airing it out" which we did not accept. We eventually ended up in a king room with a balcony. It was nice, but not a room that's comfortable enough to spend 5 nights in. We were not happy. Especially since we tried to stay in a suite back on February 4th and couldn't because there was water running down one of the walls. We ended up staying somewhere else because also the main bar area, The Brown Room, was closed and still under renovation. Sad to say but I don't think I will try to stay here again. Congress Hall never ceases to impress us. This was our second visit so we asked for the same same room and they were able to arrange that for us which was a great surprise after a long drive. The food, staff and atmosphere are just amazing. We will be back soon. 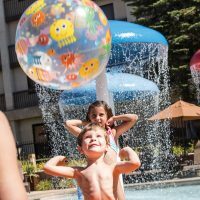 Children 4 to 12 will enjoy the seasonal Blue's Clubhouse, which is available for both guests and non-guests of the hotel during summer evenings, 5:30 to 9 p.m., Tuesdays, Wednesdays, Fridays and Saturdays. The program provides kids with dinner and dessert from the Blue Pig Tavern, as well as themed activities and games, all under supervision of Congress Hall staff. The clubhouse is a per child cost. On Monday nights during the summer, the hotel's grand lawn is converted into a carnival, complete with games for all ages, face painting, balloon animals, tasty treats and carnival booths. After the carnival ends, grab a seat on the lawn for a free family-friendly movie. Another fun summer activity for families is it's twice-weekly Family Karaoke nights. Blue, the pig, makes an appearance and joins the kids in the dance fun while kids belt out tunes in the underground nightclub. Parents can join the kids on Sunday nights, and on Thursdays can enjoy adult karaoke after the kids retire to their rooms. During the summer, kids can meet on the great lawn for a rousing game of soccer. Whether you choose to lounge by the pool or on the sand while the kids splash, the hotel provides cabanas, umbrellas, loungers and towels to guests. Beach cruisers, surrey's and tandem cruisers are all available for rental at concierge. Visit local favorite The Blue Pig for breakfast, lunch or dinner in its cozy tavern environment with patio dining. Ingredients are grown nearby at Beach Plum Farm. Breakfast begins at 7:30 a.m. and the restaurant serves dinner until 10 p.m.
Nicknamed Cape May's living room, the Brown Room and Veranda Bar feature a fireplace, oversized seating and a mahogany and marble setting. Open from noon to 1 a.m., the Brown Room offers appetizers and live music, as well as cocktails for mom and dad. This is your place for grab-n-go sandwiches, salads, soups and pastries to enjoy on the veranda or the great lawn. Open daily from 6:30 a.m. to 10 p.m. While on the beach, attendants will deliver food to your chair at Congress Street between 8 a.m. and 6 p.m. daily. Congress Hall features self and valet parking. 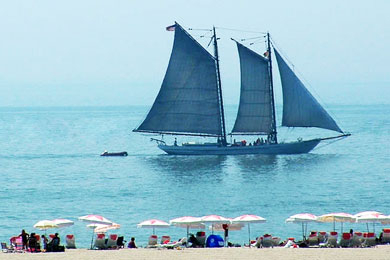 Cape May is a summer destination on the Jersey Shore. As such, the best time to visit the hotel is during the summer months, when the kids' and family programs are available. 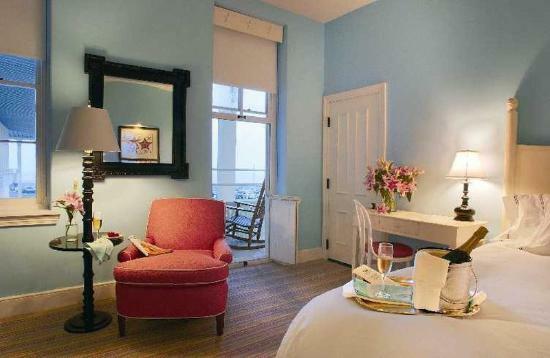 It is also when the hotel is at its peak, so rates may be higher and dates may be harder to book. You can still enjoy the beach during the early fall, when prices drop and accommodation availability increases, but you'll have to do without the family programming. 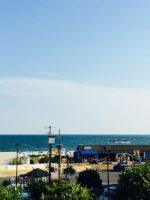 However, there is enough to do in Cape May before the winter season closes many of the attractions down so a fall trip is still worth it. Cape May is located at the very southern tip of the Jersey Shore. It is an island accessible via two toll bridges from the north, or via ferry from the south. By car, the toll road into the area can be congested on summer weekends, with weekenders from Philadelphia and New York driving in. 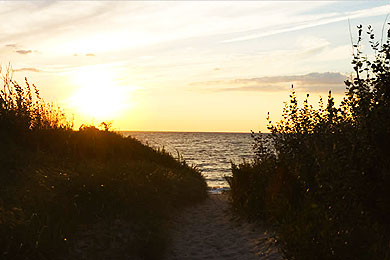 Cape May is less than a two-hour drive from Philadelphia. While the kids are at the kids' club, be sure to head down to The Boiler Room, a very hip nightclub in the heart of Congress Hall. Mom and dad can also enjoy massage therapies in cabana-style treatment rooms, seven days a week.